This is where the famous stuntman Blondin lived and died. 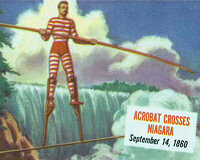 Description: Charles Blondin, originally named Jean Francois Gravelet (d. 1897), is remembered all round the world for achieving, in 1859, the first crossing of the Niagara Falls on a rope (he amazed onlookers when he stopped half way to cook and eat an omelette, he also crossed with a wheelbarrow, blindfolded and carrying a brave passenger). Blondin attracted large audiences in many countries. He settled in England, where he found a wife, Charlotte who is buried with him in a large memorial with both their busts engraved. Blondin retired here in South Ealing, a rich man. He settled his family in a house he named Niagara Villa - now long gone - but he did not remain there long. In 1861, at the request of the Prince of Wales, he appeared in London at the Crystal Palace, reenacting all his Niagara Falls stunts before a backdrop of the falls. His young daughter Adele accompanied him on high-wire acts during this engagement and it caused great controversy. In spite of this, he received many more requests to perform and at the age of 64 he reappeared in the United States for a series of exhibitions on Staten Island, N.Y. His final performance was given in Belfast, Ireland, in 1896 at the age of 68. 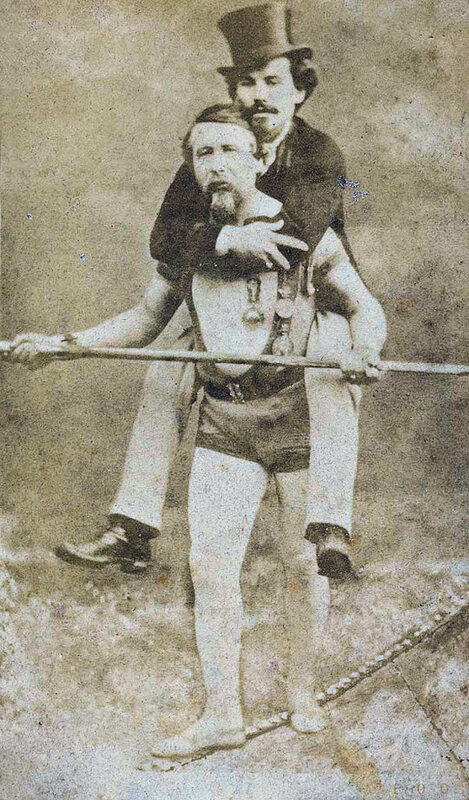 The French daredevil lived to be 73 years old and died peacefully in his bed in Ealing on February 22, 1897 of diabetes. He is buried in Kensal Green Cemetery in London next to his first and second wives: Charlotte (died 1888) and Katherine (died 1901). 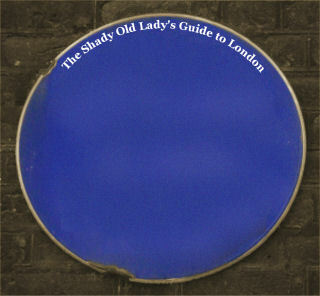 Two roads in Ealing, London, are named in his honour: Blondin Avenue and Niagara Avenue.